We offer beautiful and healthy smile with the perfect combination between cutting edge technology and the most comfortable dental solutions during your holidays on the tourist’s famous destination in Thailand. Our three clinics; Sea Smile, Smile Studio Dental and Patong Smile International, are located only a few minutes from Patong beach. Home to exotic cultural heritages, lively smiling folks and some of the world's most beautiful beaches, Thailand has undoubtedly become the world’s top-rated travel destination. Phuket, as the most popular beach destination of the country, has expanded greatly over the past few decades. Having millions of visitors from all over the world each year, Phuket today has geared up to satisfy all of its visitors in every possible way, one of which is dental needs. An ever-growing reputation of Thai dentists and our competitive price draws a great number of international patients to Thailand every year, and when combined with lingering holiday on the white tropical beaches or snorkeling in turquoise blue water of the Andaman Sea, this Phuket dental vacation is truly a brilliant move. What more do you need than a getaway vacation that actually saves you some money? We are a group of professionals committed to providing the best dental care to our valued patients. With 3 state-of-the-art dental offices and our own ISO certified dental lab conveniently located in prime locations of Patong, we are able to offer you a world-class dental treatment on Thailand’s very best beach. Yes, we bring our fully equipped dental facilities to your Phuket tropical paradise! Our highly-experienced team of doctors and dental specialists are devoted to performing the best dental treatment in full range of practice including cosmetic and restorative dental work, porcelain veneers, smile makeovers, complex implant restorations and full mouth reconstruction. Our own ISO certified lab helps us work faster and more efficiently. Our hard-working lab staff work around the clock ,if needed, to fabricate perfect dental restorations and to correct the faulty ones to make sure that our patients have their dental work perfectly done in the given time period. Our team of experts is ready to gently provide the best dental care specially tailored to your budget and requirements. At the end of the day, all we are asking for is to see our patients keep smiling. Please take a tour of our 3 comfortably-set dental offices in Patong or email us at contact@dentalthailand.org to schedule an appointment or for any further information. Let yourself indulge in a tropical beach paradise and let our caring, professional hands take care of your teeth. Fancy a dental vacation that actually saves you some money? Let us be your answer. How to start your tip ? Dental implants offer a smile that looks and feels very natural. Surgically placed below the gums over a series of appointments, implants fuse to the jawbone and serve as a base for individual replacement teeth, bridges or a denture. Dental implants offer stability because they fuse to your bone. Integration of the dental implants into your jaw also helps your replacement teeth feel more natural and some people also find the secure fit more comfortable than conventional substitutes. Dental implants are a vast improvement over conventional dentures. They?re more stable and user-friendly than many other teeth replacement options, and because the posts that secure dental implants in place are integrated into the jaw, they also help prevent bone loss and gum recession (because the pressure of chewing on the implant?s crown stimulates the underlying bone and prevents it from deteriorating from disuse). However, some medical circumstances ? including radiation therapy in the mouth area, and diseases such as diabetes ? lower the success rate for implant dentistry. For that reason, patients must undergo a rigorous screening process before they may proceed with implant dentistry. What Dental implants can help? Naturally, there are many benefits of dental implants. The benefits of implant treatment include improved appearance and self-esteem as well the enhanced ability to chew and enjoy your food, and often protection of your remaining teeth and jawbone. Implant dentistry is a comprehensive tooth replacement process rather than a quick fix. Once a dental implant has been placed during oral surgery, the bone is given time to grow and fuse around the implant base. For tooth that are badly damaged, dental crown can be an effective treatment option. The dental crown procedure utilizes tooth-shaped coverings made of metal, ceramic, or porcelain to improve the appearance, restore the strength and eliminate the discomfort. In addition, dental crown may be used to anchor a dental bridge or to cap a dental implant post. Metal Crown Although their metallic color makes them a poor choice for highly visible teeth, dental crowns made of metal can be an ideal option for repairing decayed or damaged back teeth. They are extremely durable and can be applied with less removal of the natural tooth than all porcelain or ceramic crowns. Metal crowns may consist of various materials, including gold alloy, palladium, nickel alloy, or chromium alloy. A dental bridge is made up of 2-3 or more crowns for the teeth on either side of the gap and a replacement in between. Natural teeth, dental implant can be used to support the bridge. Whether you are looking for a temporary or permanent tooth loss solution, there is a dental bridge ideally suited for your needs. Achieving a natural looking and realistic smile after tooth loss is possible with bridges. Dental bridges are one method used by dentists to fill a missing tooth (or teeth). Depending on the dental bridge type you choose, the procedure and cost will vary. If you have questions about dental bridges, please read on for more dental bridge work info. A dental bridge is made up of 2-3 or more crowns for the teeth on either side of the gap and a false tooth in between. Natural teeth or implants can be used to support the bridge. The dental bridge type you choose will depend on the condition of your smile, your cost goals, and the cosmetic results you desire. This type of dental bridge work consists of two crowns for the teeth on either side of the gap, with a false tooth in between. Traditional bridges are the most commonly used type of bridge and are made of all ceramic/porcelain or porcelain fused to metal (PFM). If there are no surrounding teeth to support the crowns, implants can be used to fix the bridge in place. This type of dental bridge is made up of ceramic/porcelain teeth supported by a metal framework. The bonded bridge is generally lower in cost than other types of bridges and is the most simple to apply. Dental bonding , also known as composite or tooth bonding, is an excellent way to fix cosmetic and structural imperfections in the teeth. Dental bonding can repair cracked, chipped, and discolored teeth as well as replace silver amalgam fillings. Cosmetic bonding can also repair misaligned teeth, providing a straighter, more uniform smile. - Dental bonding provides a natural white and beautiful teeth appearance. It can repair chipped or broken tooth and lengthen worn down tooth. - Dental bonding offer a conservative approach to changing a tooth's color and shape. To begin the teeth bonding procedure, the dentist selects a composite resin ( dental bonding material) that matches the natural shade of your teeth. The dentist then roughens the existing tooth so the resin can adhere properly. Next, the composite resin is carefully applied to the tooth, shaped, and smoothed to achieve the desired look. It is then quickly hardened via a high intensity light. Lastly, the bonded tooth is buffed and polished so it has the same appearance as the surrounding teeth. Teeth bonding can usually be completed in one office visit, depending on the extent of repair needed. Even if treatment needs to be performed over two or more visits, you will be pleased to notice a significant difference in your smile after the first treatment. A cosmetic dentist can work out an individual plan for your dental bonding needs after a consultation and initial dental examination. Tooth bonding offers several benefits for patients. It is quick, affordable, relatively painless, and long lasting. Dental bonding is also a great alternative to more extensive cosmetic dentistry treatment with porcelain veneers, dental bridges, and dental crowns. Additionally, the composite resin used in a cosmetic bonding procedure is very flexible, expanding and contracting with the natural tooth to prevent cracks and tooth loss. Dental bonding is an excellent option for individuals looking to repair imperfections in their smile. It requires the same regular and consistent home and professional dental care as your natural teeth. 1. Brush after eating and before bedtime around the tooth with a soft toothbrush, especially where the bonding meets the gum line. 2. Floss at least once to twice a day. Use the proxy brush or floss threader to remove plaque under and around these areas to maintain good oral hygiene. 3. Rinse with fluoride rinse before bed. Do not swallow any of the rinse and do not eat or drink anything for 30 minutes. 4. Be careful about chewing toffees, gum, grainy rolls and tough food in this area. A smile makeover refers to any combination of cosmetic dental procedures that enhances the beauty and appearance of the smile. This usually has a reconstructive focus and involves any number of cosmetic and restorative procedures. Combining these procedures, team of cosmetic dentists can restore your teeth to its optimal function and esthetics. If you meet any of the criteria in the descriptions below, click on the accompanying dental procedure links to learn about possible treatments, and take this opportunity to find out more about the costs, benefits, and risks of each treatment. - If you suffer from embarrassment and lack of self-confidence caused by stained, crooked, cracked, or missing teeth – Dental Extreme Makeover can help! - If you cover your mouth while talking or smiling, if you don't feel good about showing off your teeth, if you have chronic bad breath – Dental Extreme Makeover can help! Unattractive Smile – When teeth are too short or long, stained, chipped, misaligned, or overcrowded, a dentist can combine multiple cosmetic dentistry treatments to transform the smile, or the patient can invest in porcelain veneers. Veneers can be placed over the teeth to mask virtually any cosmetic problems. Discolored, Stained, or Dull Teeth – Stubborn stains from coffee, tea, and cigarettes can be difficult to remove with brushing alone. Teeth whitening (in-office or take home) can help eliminate these more superficial stains and also address staining caused by aging or prescription medication use, such as tetracycline stains. Chips and Minor Gaps – Many patients are troubled by minor cosmetic issues with their smile, including jagged or chipped teeth and noticeable gaps between teeth. Dental bondingis an ideal solution for these minor imperfections. With a tooth-colored bonding material, your dentist can mask these imperfections in just minutes. Dental Phuket, Thailand’s, very own tropical paradise not only boasts the lineup of world’s best beaches but also as a renowned destination for dental tourism, with it’s enhancing beauty coupled with being an international center for commerce in the Andaman region paved away for it’s development as the most favorable destination for your dental holidays. 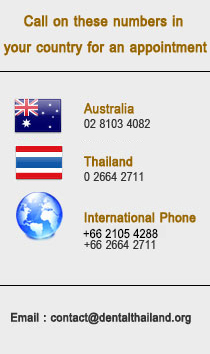 At PATONG SMILE International Dental Clinic Phuket, Thailand we provide ultimate dental clinic services in Thailand. All services are taking care by dental specialists equipped with modern equipment for your confidence and to provide the best service. Located at Patong beach of Phuket, Thailand with 4 dental rooms and equipped with most up-to-date technology and uncompromising sterilization methods. Be it a routine check up, laser tooth whitening, Dental Extreme Makeover , Invisalign or a complex Full Mouth Dental Implants, we know how to exceed your expectations. Creating beautiful and healthy smile is our important mission. Our team of experienced dentist at PATONG SMILE International Dental Clinic at Phuket, Thailand takes pride to present the world class dental clinic Phuket in Thailand. We offer the perfect combination of the cutting edge of dentistry and the most comfortable dental treatment while maintaining the strictest sanitary and sterilization technique. The optimum dental health for you through exceptional service and cosmetic dentist’s commitment to excellence available in Phuket, Thailand at PATONG SMILE International Dental Clinic. Phuket, Thailand’s, very own tropical paradise not only boasts the lineup of world’s best beaches but also as a renowned destination for dental tourism, with it’s enhancing beauty coupled with being an international center for commerce in the Andaman region paved away for it’s development as the most favorable destination for your dental holidays. 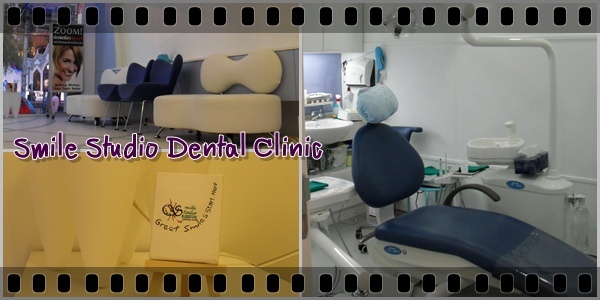 At Smile Studio Phuket , Thailand we provide ultimate dental clinic services in Thailand. All services are taking care by dental specialists equipped with modern equipment for your confidence and to provide the best service. Located at Patong beach of Phuket, Thailand with 4 dental rooms and equipped with most up-to-date technology and uncompromising sterilization methods. Be it a routine check up, laser tooth whitening, Dental Extreme Makeover , Invisalign or a complex Full Mouth Dental Implants, we know how to exceed your expectations. Creating beautiful and healthy smile is our important mission. Our team of experienced dentist at Phuket smile dental clinic at Phuket, Thailand takes pride to present the world class dental clinic Phuket in Thailand. We offer the perfect combination of the cutting edge of dentistry and the most comfortable dental treatment while maintaining the strictest sanitary and sterilization technique. The optimum dental health for you through exceptional service and cosmetic dentist’s commitment to excellence available in Phuket, Thailand at Phuket smile dental clinic.